What’s the Stem Cells Buzz this Week? - MSC-Mediated Polarization, Adherent Vitrification of hiPSCs, Validation of cGMP hPSCs, and cSrc-mediated Endoderm Commitment! The Stem Cells Portal brings you a roundup of some of the new and exciting stories in the ever-changing world of stem cells, regenerative medicine, and beyond! A recent study from Alain Chapel (Institut de Radioprotection et de Sûreté Nucléaire, France) and Annette K. Larsen (Sorbonne Université, Paris, France) sought to determine the influence of mesenchymal stem cell (MSC) therapy on the progression of solid tumors by analyzing an immunocompetent rat model of human colorectal carcinogenesis. François et al. 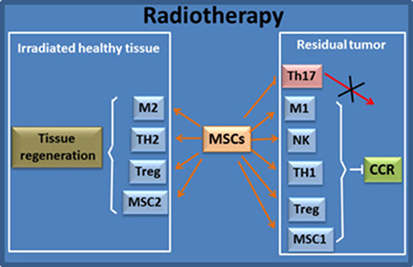 discovered that the transient presence of MSCs in the colon tissue of treated animals could inhibit cancer development by modulating the immune component of the tumor microenvironment, even one year after the last MSC administration. For all the details, see STEM CELLS Translational Medicine. 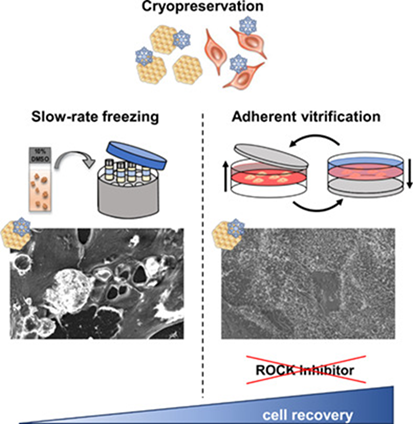 The efficient cryopreservation of human induced pluripotent stem cells (hiPSCs) represents an enormous challenge in research and regenerative medicine; however, a recent STEM CELLS Translational Medicine study tested whether a new method could improve immediate post‐thawing applicability. Researchers from the labs of Beate Winner (Friedrich‐Alexander‐Universität, Erlangen‐Nürnberg) and Julia C. Neubauer (Fraunhofer Institute for Biomedical Engineering, Sulzbach, Germany) that ultra‐fast cooling by adherent vitrification in the TWIST substrate (a device combining cultivation, vitrification, storage, and post‐thawing cultivation) improved direct post‐thaw applicability of hiPSCs as well as their neural derivatives. Kaindl et al. hope that their new method can be transferred to current stem cell research and can make large‐scale experiments more efficient and comparable. Researchers from the lab of S. Tamir Rashid (King's College London, United Kingdom) recently sought to assess the production of hepatocytes from validated current good manufacturing practice (cGMP) human pluripotent stem cells for treatment of patients with liver disease. In their article, Blackford et al. 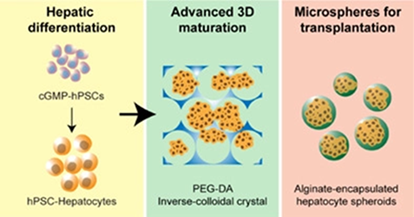 report that employing a chemically defined four‐step hepatic differentiation protocol reproducibly and uniformly generated cells with advanced hepatic function potentially suitable for future therapeutic applications. For more on this first of its kind study, head over to STEM CELLS Translational Medicine now! Research led by Yoon‐Young Jang (Johns Hopkins University School of Medicine, Baltimore, Maryland, USA) recently aimed to define vital molecular mediators in human liver development by testing tyrosine kinases inhibitors during hepatic differentiation of human induced pluripotent stem cells (iPSCs). Chaudhari et al. discovered the importance for the c‐Src protein kinase in endoderm formation: transient alteration of c‐Src activity in the early stage of liver development resulted in abnormal fibrotic‐biliary cells resembling those observed in patients with biliary fibrosis. 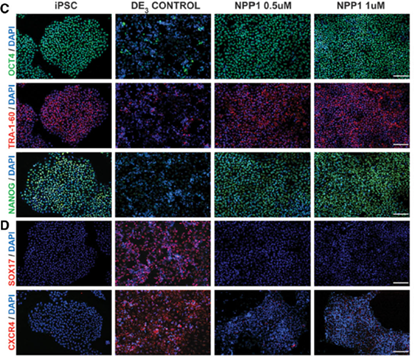 For more on an advance that may provide a basis for establishing human‐specific experimental systems for assessing abnormal liver development, see STEM CELLS now! That’s a wrap for now! Please feel free to leave a comment and discuss the papers covered here on the Stem Cells Buzz. Happy reading!